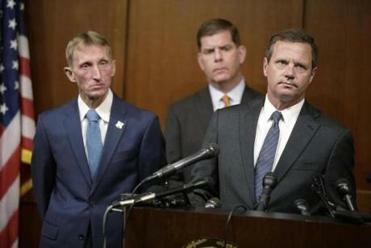 FBI Special Agent in Charge of Boston, Vincent Lisi spoke during a press conference following the formal sentencing of Boston Marathon Bomber Dzhokar Tsarnaev at John Joseph Moakley United States Courthouse on June 24. Vince Lisi, the special agent in charge of the FBI in Boston who is retiring this month, arrived here a couple of years ago, fiercely defending the bureau against claims it didn’t share information with its law enforcement partners and the public. Looks like he’ll depart doing the same. When Lisi got here two summers ago, one of the first things he did was check into former Boston Police Commissioner Ed Davis’s complaint, aired before a congressional committee, that the FBI didn’t tell their Boston Police counterparts about the FBI’s 2011 investigation of Tamerlan Tsarnaev, one of the Boston Marathon bombers. Lisi was miffed by what he considered the lack of context in Davis’s criticism. Boston Police investigators and anyone else assigned to the Joint Terrorism Task Force had access to the Guardian database where information about Tsarnaev and other potential terrorists is stored, he said. But Davis said that without being told specifically by the FBI about Tsarnaev, Boston investigators wouldn’t know to look for him. Vincent Lisi will retire after 26 years with the agency, and two years after he was appointed to run the regional office. To that, Lisi responds that because Tsarnaev lived in Cambridge, such a tip — to keep an eye on someone like Tsarnaev — would go to the Cambridge Police Department, not Boston. The problem was, Lisi said, at the time there was no one from the Cambridge force assigned to the JTTF. He said the FBI cannot legally share information gleaned from a foreign government — in this case, Russia — with law enforcement officials who don’t have the top security clearances that JTTF members receive. But even beyond that, the FBI agent who interviewed Tsarnaev concluded — wrongly, it turns out — that he wasn’t a threat. So why would he tell another agency about him? That goes to the heart of the criticism of the FBI by other law enforcement agencies: they keep everything too close to the vest, not sharing, and making judgments in a vacuum — judgments that sometimes turn out wrong. The prospect of the head of the Boston office of the FBI and the head of the Boston Police Department being at odds was removed a few months later when Davis retired and was replaced by Bill Evans. Lisi and Evans hit it off, in part because Lisi was so unlike some of his stuffed-shirt predecessors. His closest friend in law enforcement is a retired Washington Metro Police detective he worked gangs with in D.C.
It’s rare to hear an FBI agent talk like that. Many local and state police officers complain bitterly about the FBI’s institutional arrogance, that FBI agents expect the locals to share information but that it’s a one-way street. Lisi was aware of that history, made especially relevant in Boston because of the FBI’s protection of South Boston gangster Whitey Bulger, and determined to change it. “I thought I was walking into a buzz saw,” he said, when told he was being sent to run the FBI’s regional office in Boston. The first phone call he got was from Tim Alben, then the colonel in charge of the Massachusetts State Police. The Boston Marathon bombing, from the investigation to the prosecution of Dzhokhar Tsarnaev, led many in local law enforcement to put aside years of animosity and resentment. “I think there was this ‘we’re all in this together’ feeling,” Lisi said. But the past is never far removed in Boston. On Thursday, federal authorities released a surveillance video showing a security guard letting a man into the Gardner Museum the night before it was robbed of 13 priceless paintings in 1990. US Attorney Carmen Ortiz said officials hoped someone in the public might recognize the mystery man. How could this crucial piece of evidence just be coming out, 25 years after the city’s most infamous unsolved crime? It seemed like either a breathtaking bit of incompetence by the FBI, or more evidence of the bureau’s reluctance to share information with law enforcement partners and the public. When I called Lisi, he downplayed the significance of the video, and said the FBI was aware of its existence throughout the investigation. He said FBI agents who investigated the case had been aware of the video for years but had judged releasing it to the public of limited value, primarily because at no time is the man’s face shown on camera. He said the idea for publicizing the video came up as part of a standard review of an unresolved case, a process which began around the time he took over the Boston field office. “We know who did it. We know who went in and stole it,” Lisi said, repeating what his predecessor said two years ago, when the FBI said it believed it knew the identities of the two men who carried out the heist. Both of those men are dead, but the FBI has not publicly identified them. The statute of limitations for the robbery expired years ago. Lisi said the focus of federal authorities is on finding the paintings. “This is a recovery operation,” he said. Lisi said the video was sent to the FBI laboratory in Quantico for enhancement last year, again, part of what he described as a normal review process. 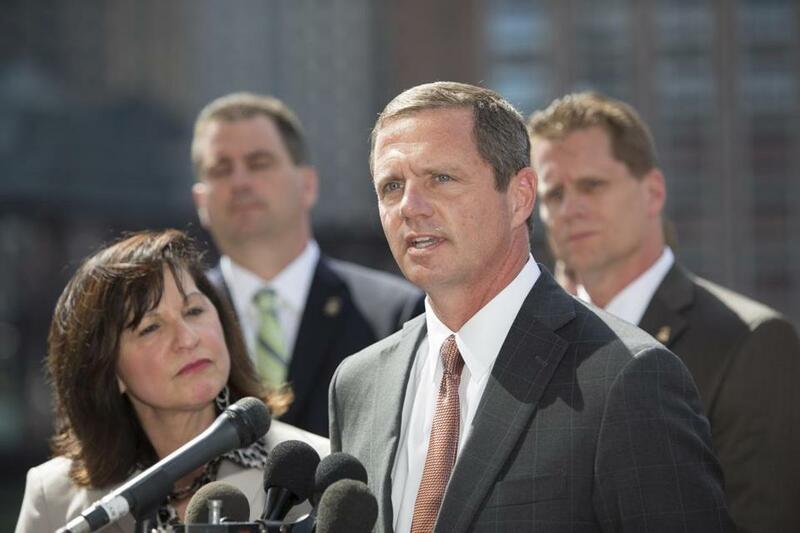 Lisi is the most candid FBI leader in Boston, ever. His candor has forged better relationships with other law enforcement agencies. But that doesn’t mean he’s right about everything. Just as it took releasing photos of the Tsarnaev brothers to the public for them to be identified and found, the best chance to identify the mystery man in the Gardner Museum rests out there in the big wide world. For the record, Lisi denied that Tamerlan Tsarnaev, killed in a firefight with Watertown police, was an FBI informant. He also denied that Ibragim Todashev, a suspected accomplice of Tsarnaev in a triple murder in Waltham, was an FBI informant. Todashev was shot dead by an FBI agent in Florida two months after the Marathon bombings, after he allegedly attacked the agent and a Massachusetts state trooper. That I had to ask the question — and that there are others in law enforcement who suspect that one or both were FBI informants — suggests whoever replaces Vince Lisi has their work cut out for them. Like statutes, candor has its limitations.